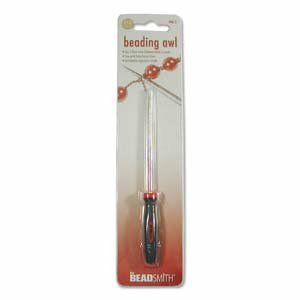 An awl is a beading tool used for knotting. The awl makes it easier for you to make consistent and tight knots. Use to form knots between beads & pearls. Comes in handy when you need to open small beads for covering crimps. Guides knots down close to beads. Fine point helps loosen knots and tangles.